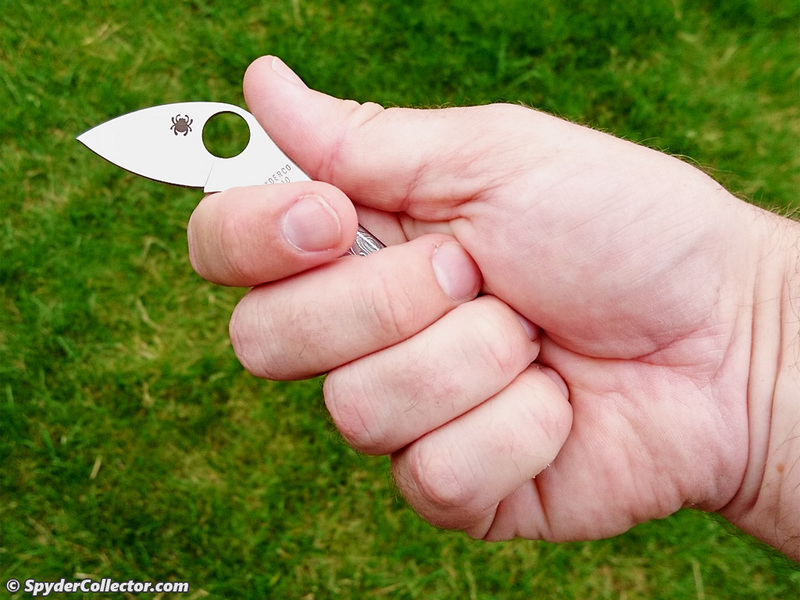 Finally, a slipit folder design that looks like it could take some hard use! 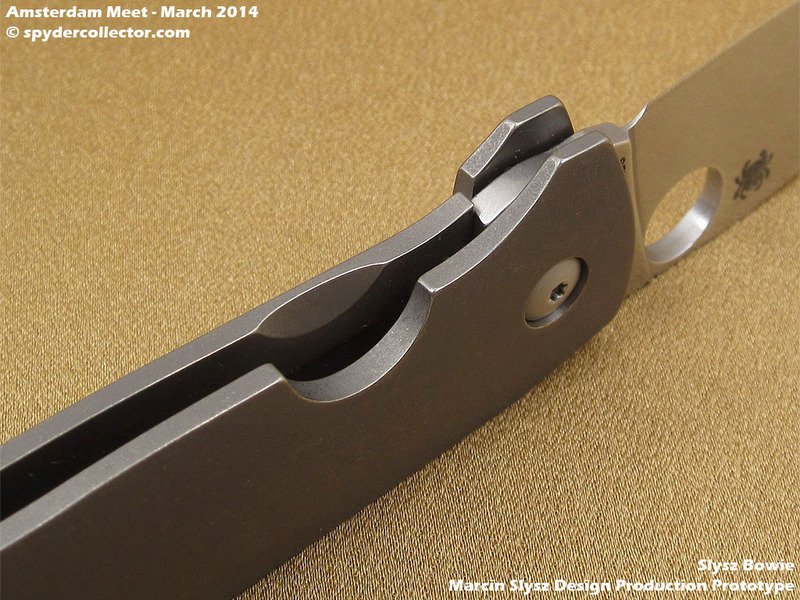 I am very anxious to see this PITS folder, designed by Mike Read, in production. My photos of the PITS folder can be seen here. 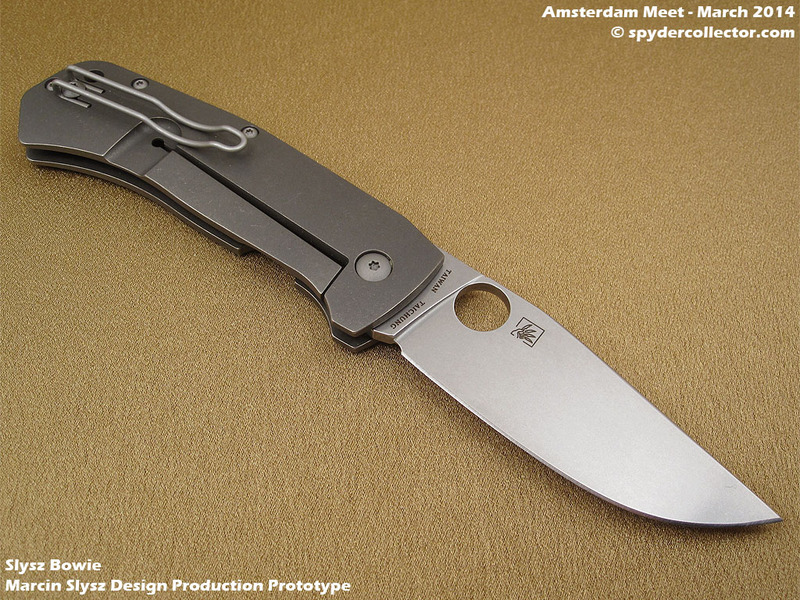 The Slysz Bowie folder was a very attractive folder to me. 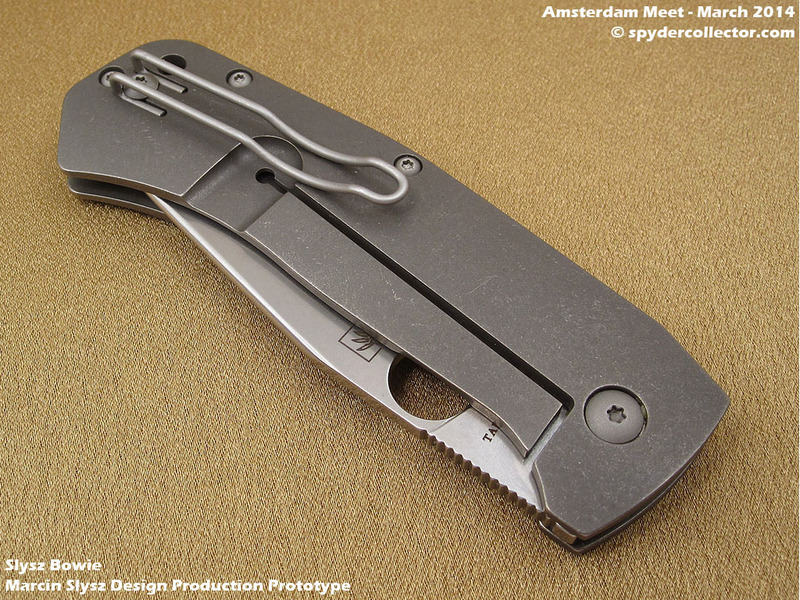 It’s a straightforward ‘simple’ folding knife design, but it had some refined touches. The spine of the blade was rounded. 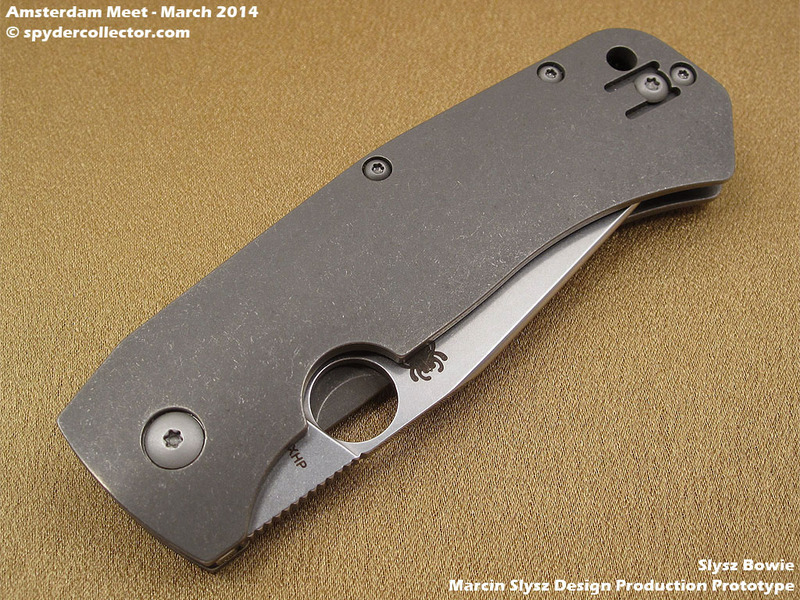 The integral lock operated very smooth and the blade locked up very well. 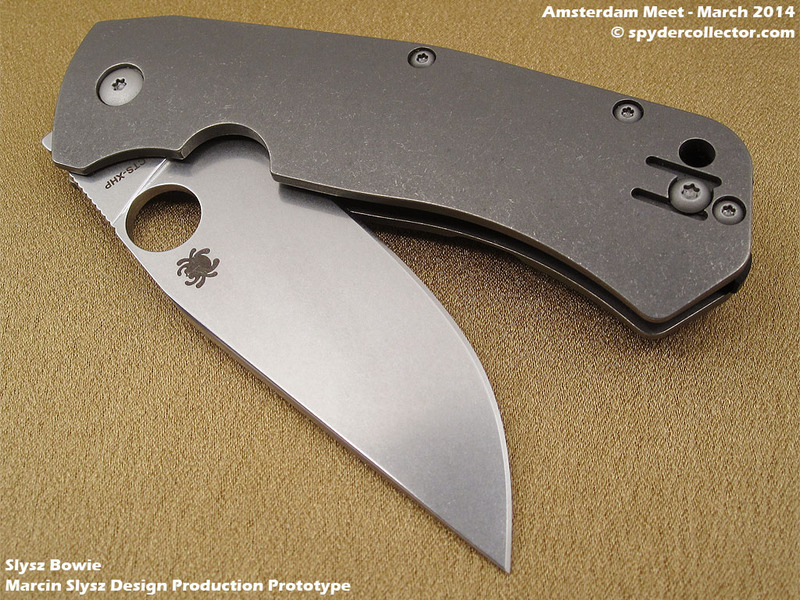 There’s also a G-10 spacer that features jimping to enhance the grip. 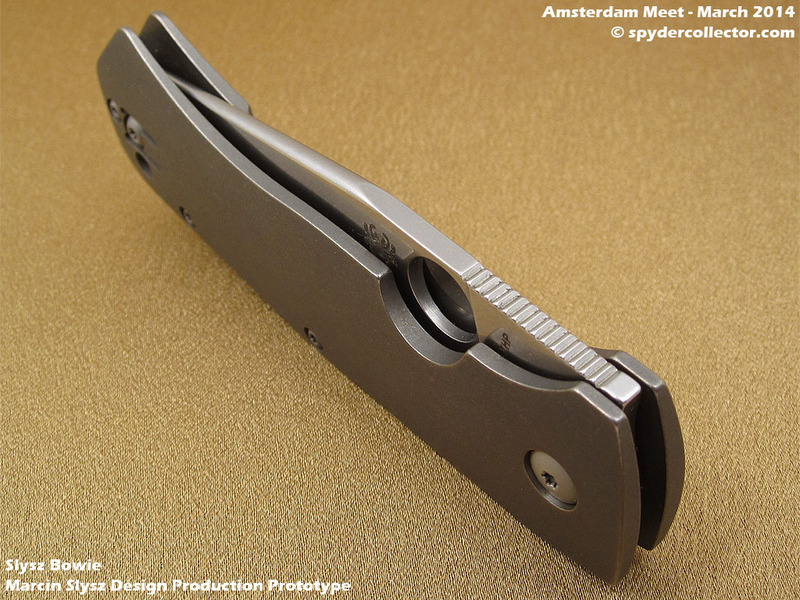 Compared to Slysz’s Techno design, this seemed like a much more light and elegant design. 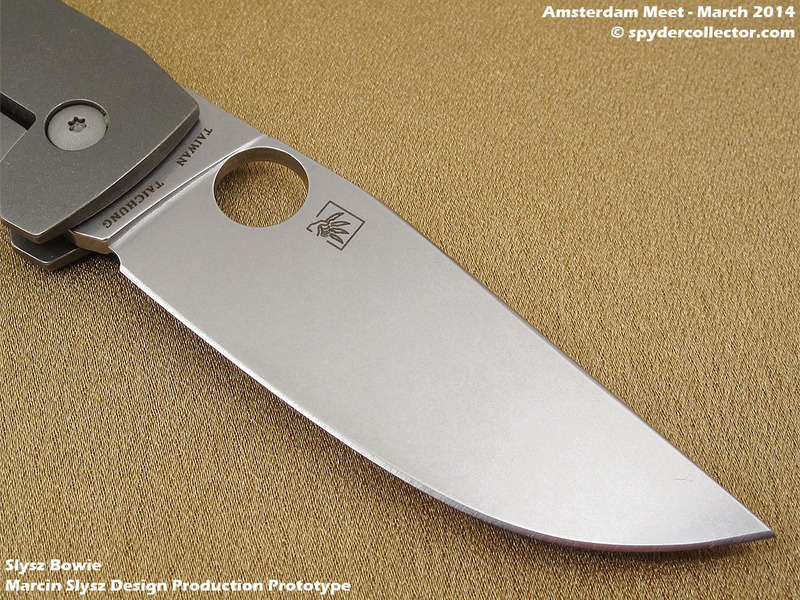 Still, this Bowie folder looked and handled like it should be a hard working knife. 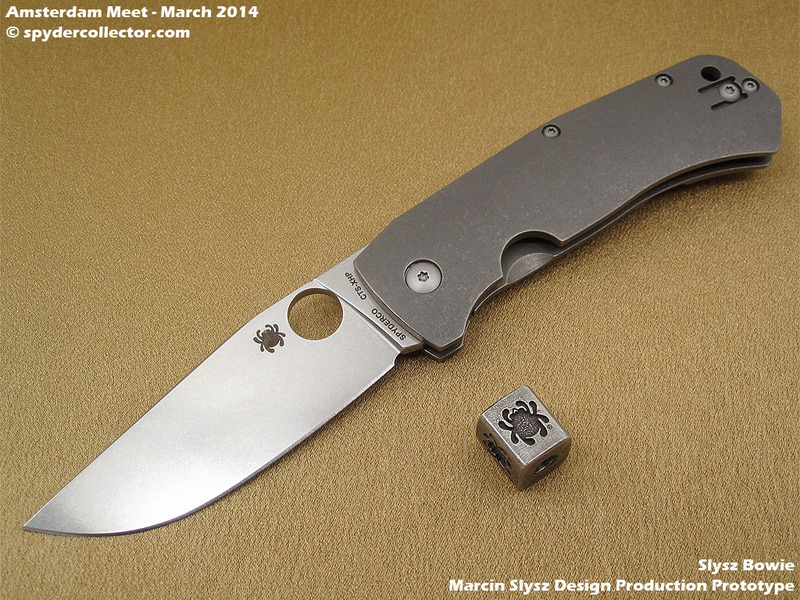 Unfortunately, we didn’t get around to taking some measurements of the Slysz Bowie. 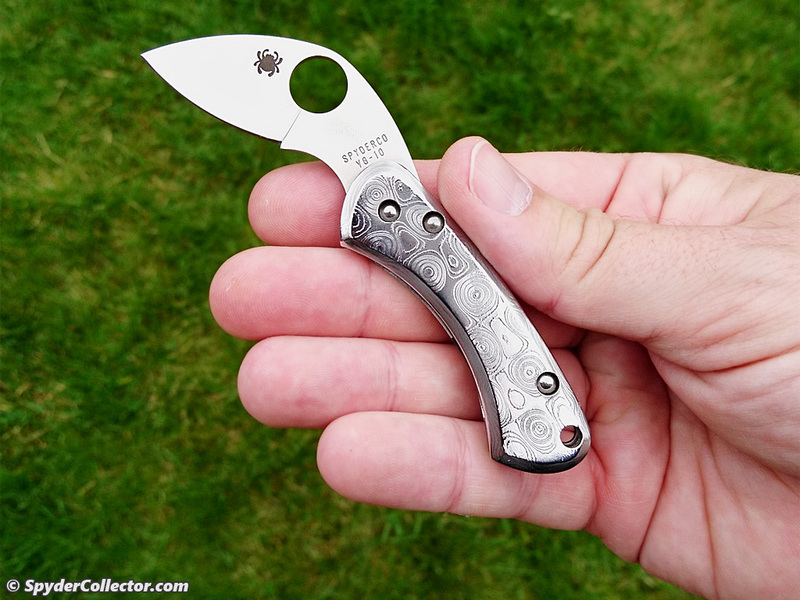 I recall the blade being in the 3.2 – 3.5 inch territory, but I could be off on that. 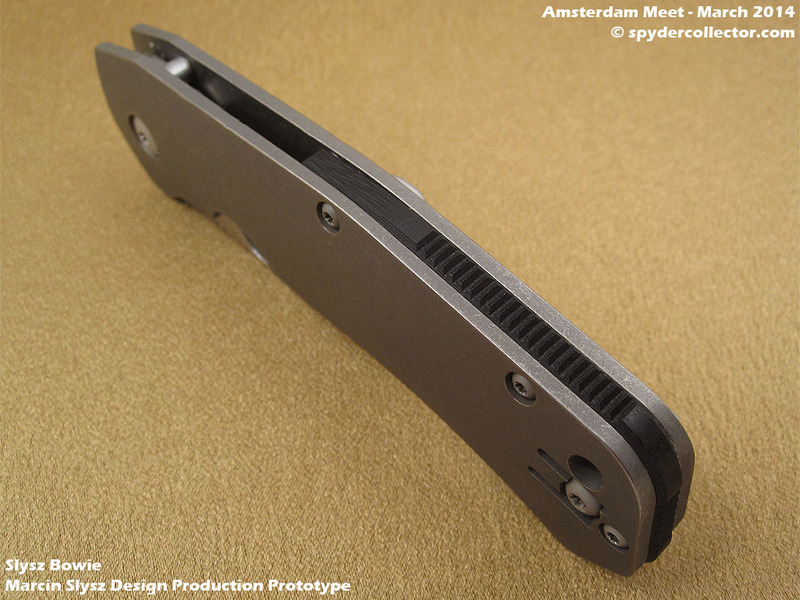 I can’t wait to see this design hitting production and becoming available. I want one!